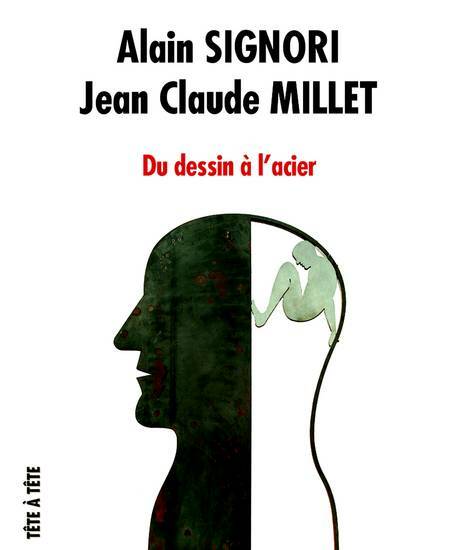 New exhibition for Signori and Millet. 14 Sculptures stemming from a "face to face" between Alain Signori and Jean-Claude Millet are exposed at La Galerie - 26 Bonaparte street, in the 6th district of Paris. From November 16th, 2015 till January 19th, 2016. Alain Signori and Jean-Claude Millet invite us to share their explorations and artistic reflections about the infinite complexity of human thought. Through their works, they deliver a merciless but always poetic vision of the meanders of the soul. The "heads" of Alain Signori and Jean-Claude Millet release a sometimes quiet, sometimes disturbing strength, often remaining illegible. Emotion is tangible in their sculptures. These enigmatic faces, true mirrors of our own souls can only fascinate and question us. This site is currently under construction, please bear with us for the English version. At the moment you can discover the following artists' pages : Alain Signori ; Jean-Claude Millet ; Signori / Millet ; Josiane Poquet ; Werner Reinisch ; Dalva Duarte.